Partners and Vendors - Contingency Planning Exchange, Inc. Protecting Your People, Property & Your Posterior. </em>We create emergency, disaster recovery, business continuity plans and assessments plus their training and exercise for organizations like GE HQ, Hyatt Hotels HQ, MasterCard HQ, four universities and 26 secondary schools. We work nationwide for manufacturers, financial institutions, marketing/media agencies, high rises, campuses and multinationals. We are trained and certified to protect your people, property and your posterior. Continuity Centers is a provider of secure, affordable business continuity and disaster recovery solutions that bring peace-of-mind to businesses and institutions across North America . Headquartered in Woodbury , NY with recovery capabilities throughout North America, Continuity Centers is the only company within the United States to offer a one-click 60-second technology recovery solution, called Instant Business Recovery (IBR). Continuity Centers has dedicated itself to one goal: Protect our Members and ensure they continue business as usual during any type of business interruption. Since its inception in 1999, Continuity Centers has established a nationwide client base in various industry sectors including banking, construction, energy, healthcare, legal, publishing and many more. 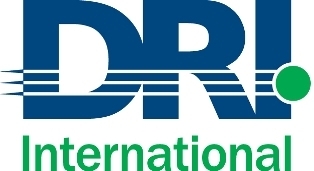 DRI International was founded in 1988 as the Disaster Recovery Institute in order to develop a base of knowledge in contingency planning and the management of risk, a rapidly growing profession. Today DRI International administers the industry's premier educational and certification programs for those engaged in the practice of business continuity planning and management. More than 3,500 individuals throughout the world maintain professional certification through DRI International. Fusion Risk Management is a leading industry provider of cloud-based software solutions for business continuity, integrated risk management, IT disaster recovery, and crisis and incident management. Its products and services take organizations beyond legacy solutions and empower them to make data-driven decisions with a comprehensive and flexible approach through one system. Fusion and its team of experts are dedicated to helping companies achieve greater organizational resilience and mitigate risks within their businesses. Alertus Technologies leads the industry in unified facility notification and has engineered innovative emergency alert systems for a variety of institutions. The Alertus system is a customizable array of emergency notification products, including the Alert Beacon, computer desktop alerting, panic button, LED marquee, text-to-speech interface for PA and outdoor speaker systems, fire alarm interface, VoIP phone alerting, and digital signage and cable TV overrides. Control Risks is a specialist risk consultancy. We are committed to helping our clients build organizations that are secure, compliant, and resilient in an age of ever-changing risk and connectivity. Informed and responsible risk-taking is essential in any ambitious organization. We have unparalleled experience in helping to solve the challenges and crises that can arise when you seek to convert risk to opportunity. Control Risks has been helping the world's leading companies and organizations for more than forty years. The insight and depth of experience we have gained are invaluable in providing the intelligence needed to grasp opportunities and manage risk with greater certainty. EFPR Group, LLP’s Information Technology & Governance, Risk and Compliance Consulting and Audit department, performs Consulting and Audits for Cyber Security, Business Continuity, Disaster Recovery, Crisis Management, Emergency Management, Penetration Testing and IT services. Our personnel are certified through ISO, DRI, BCI, PMI and IAEM. Everbridge (NASDAQ: EVBG) is the global leader for integrated critical event management solutions that automate and accelerate organizations' operational response to critical events to help keep people safe and businesses running faster. Over 3,700 global organizations rely on the Everbridge Critical Event Management Platform to deliver resilience on an unprecedented scale. NC4 delivers revolutionary safety and security solutions that empower businesses, government organizations and communities to defend against cyber threats, collect and disseminate intelligence to mitigate risks, and share information to fight crime and manage incidents. Persistent Telecom Inc., founded in 2008 and based in Piscataway, New Jersey, provides products and services that provide secure, sustainable, wireless mobility. PTI manufactures many “custom” wireless networks and devices under contracts with the Department of Defense (DoD). PTI has adapted these products to provide solutions for business continuity, disaster recovery, Continuity of Operations and Continuation of Government (COOP and COG). Our products are designed to provide cell service during network outages or denial of service conditions and are intended for use by enterprise customers as well as public safety, first responder and law enforcement personnel. 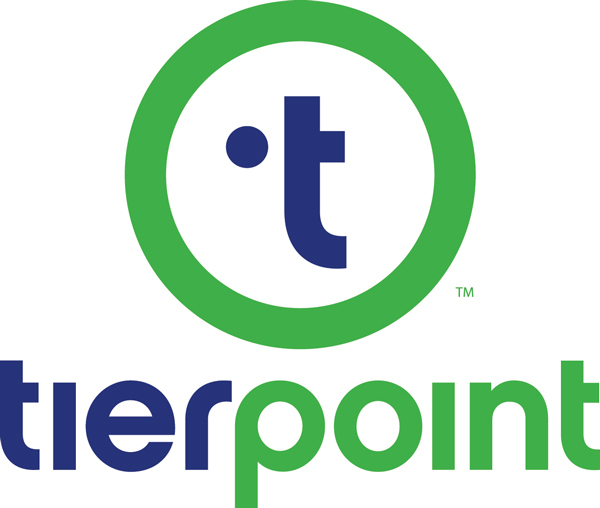 TierPoint, LLC, is a leading national provider of information technology and data center services, including colocation, cloud computing and managed IT services, with company headquarters in St. Louis, MO. TierPoint was formed in 2010 through the strategic combination of some of the country's most respected and innovative data centers and IT solution providers whose origins date back as early as 1995. Zerto provides Resilience for Evolving IT™ by delivering automated, seamless Business Continuity and Disaster Recovery for vSphere, Hyper-V, Azure and AWS. Zerto Virtual Replication delivers critical application availability in the event of a disaster while creating recovery points (RPO) of seconds and recovery times (RTO) of minutes with continuous replication, without the use of snapshots and having no impact on production. This ensures businesses and their customers always have access to critical applications without any IT interruption, downtime or delay.